Mark focuses his practice on employee benefits and executive compensation as well as corporate and individual taxation and tax-exempt organizations. He has represented clients in the banking, entertainment, health care and real estate industries. Mark devotes a substantial part of his practice to the areas of trusts and estates, business succession and taxation. He handles high-net-worth estate planning, business succession, and trusts and estates disputes. Mark often guides individuals and families through a reliable relationship with a caring, experienced lawyer who will assist them in times of greatest personal opportunity, life event or crisis. He also provides strategic counsel on wealth planning and taxation matters to businesses, tax-exempt and charitable organizations. As a result of his familiarity with the Israeli legal community, Mark is often asked to represent U.S. citizens who have moved to Israel with respect to their U.S. estate plans and to assist in providing them Israeli counsel with respect to their estate planning needs in Israel. Strategic assistance in ERISA litigation. Mark is well known for his knowledge of the legal aspects of institutional pension plan investment and related fiduciary matters, as well as collectively bargained multiemployer plans. He also has many years of experience serving as plan counsel to major multiemployer (Taft-Hartley) trusts. Mark is a certified public accountant and has a broad-based practice in corporate and partnership income tax, including choice of entity considerations and tax issues involved in mergers and acquisitions and other corporate transactions as well as employment law matters. He also handles tax ruling requests and tax controversies and has been involved in the formation, capitalization, reorganization and dissolution of many public and private companies, S corporations, partnerships, limited liability companies and tax-exempt entities. Mark serves as management appointed co-counsel to the Screen Actors Guild-Producers Pension & Health Plans. 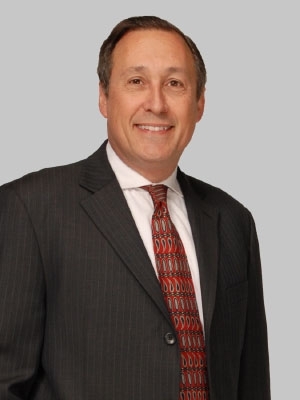 Mark's tax practice includes the representation of individuals, including actors, athletes and medical and legal professionals, in connection with their personal income tax, executive compensation and retirement planning issues. He assists with the interplay between the taxation of their individual activities and the activities of their professional corporations. Additionally, Mark advises tax-exempt organizations, including hospitals and other health care providers, research organizations, trade associations and private foundations, on issues such as obtaining and maintaining tax-exempt status, managed care, executive compensation, reorganizations and joint ventures, acquisitions, unrelated business income tax planning and foundation excise taxes. A co-chair of the firm’s Israel Practice, Mark advises individuals and companies in the U.S. wishing to do business in Israel and Israeli businesses wishing to do business in the U.S.
*Admitted to practice only in California and Israel. Prior to joining the firm, Mark was a partner with Manatt, Phelps & Phillips, LLP, in Los Angeles. He has also previously been a partner with Jeffer, Mangels, Butler & Marmaro and with Loeb and Loeb. He began his career as a staff accountant with Coopers & Lybrand. While in law school, Mark was a Harlan Fiske Stone Scholar and was managing editor of the Columbia Human Rights Law Review.